One of the highlights in the Arai range is undoubtedly the introduction of the new limited Isle of Man TT Races helmet. 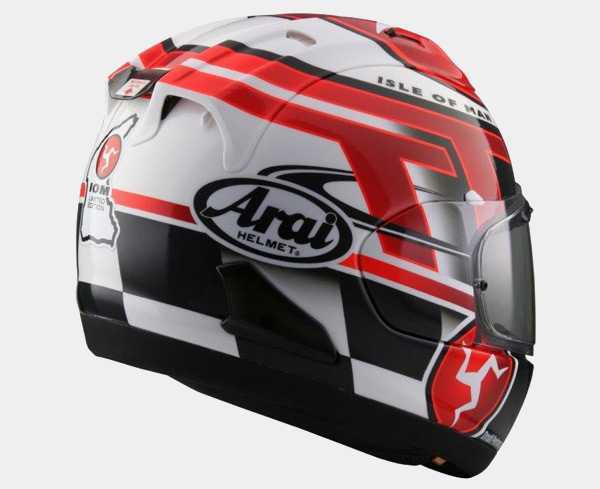 Arai and the Isle of Man TT have a long-standing partnership and part of it is the annual introduction of a special, always limited edition helmet. 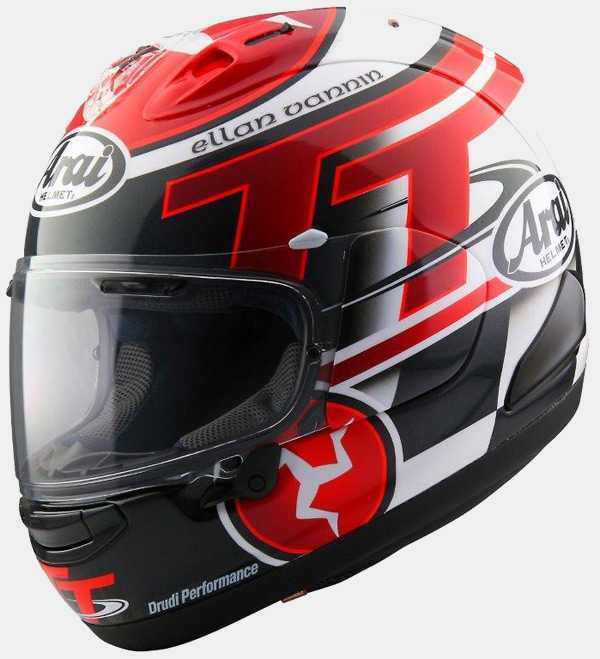 As a result of Arai’s exclusive license and official partnership, Arai is the only helmet that carries the world famous official TT logo as part of the helmet design. Undoubtedly the new Arai RX-7V with its revolutionary VAS visor system was the obvious choice for this special helmet. From the very beginning Italian top designer Aldo Drudi has been the designer and creator of these very popular models and certain details are ever present in his TT designs. As well as the famous three-legged symbol (the ‘’Triskelion’’), the words ‘’Ellan Vannin’’ which is the Manx-language name of the Isle of Man have been used on every design. These references and the well-known Isle of Man TT Races logo form an integral part of this new 2016 design. Again Drudi has managed to create a helmet complete in the spirit of the existing Isle of Man TT range, but still different from all its successors. The 2016 Arai TT helmet will be handmade in a limited production run. After these have been made, no more of this helmet will be produced. The very first Isle of Man TT 2016 helmets will be available in the Arai village on the first TT practice day on Saturday May 28th from the Arai service centre in the Isle of Man TT paddock. From then on, the Arai Isle of Man TT 2016 Limited Edition will be available through all European Arai dealers.